I have always considered Thermaltake to be one of the premier manufacturers of cases and cooling products; even though I haven’t always been a fan of all of their products. With the loud design of many products entering the market today, it seems that there has been a lack of balance between the design and the function, whereas the function doesn’t say as much about the performance as the appearance does. 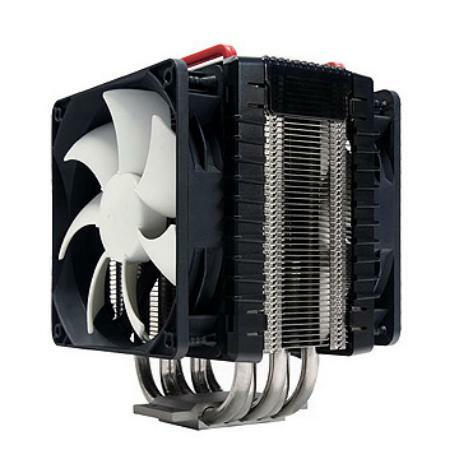 Thermaltake thinks they can regain some of my confidence by enticing me, the enthusiast, with a CPU cooler that claims it can do the job and looks like it should be able to without the zany design elements some have chosen to opt for over functionality. 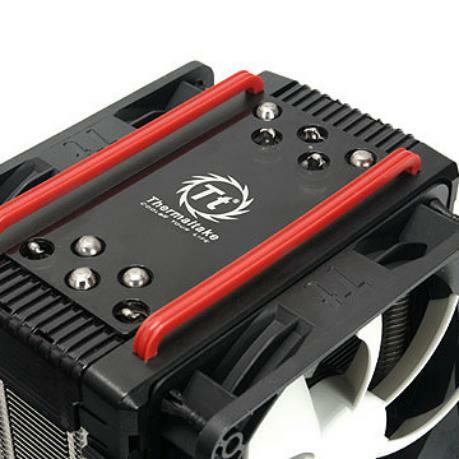 With the introduction of the Frio (a Spanish word for “cool”) CPU Cooler, it seems as though Thermaltake has retraced its roots and gone back to producing products that function as well as they look. 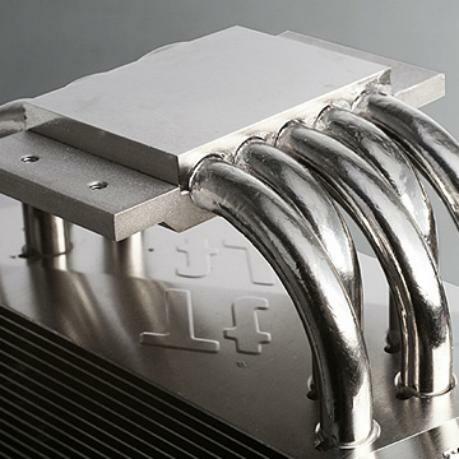 The Frio, an aluminum cooler that sports a nickel plated copper base, is by no means a small heatsink and it is geared towards the enthusiast overclocker. Weighing in at 1042 grams and measuring 165mm tall the Frio is 9mm taller, 41% heavier, and has heatpipes that are 33% larger than our last contestant, the GlacialTech Alaska. Okay, so maybe percentages aren’t your thing; if that is the case, the Frio measures 139mm (l) x 98mm (w) x 165mm (h), weighs 1042 grams, 0.5mm aluminum fins, and has 5 8mm heatpipes. Thermaltake’s Frio is designed to cool any CPU up to 220W TDP (thermal design power) and includes the hardware to mount on both Intel and AMD platforms. The tower style CLP0564 features a single fan installed out of the box with the ability to add another 120mm (pla12025s12hh-lv) fan for a bit more cooling. In many cases, when something is optional, that usually means that it isn’t included. 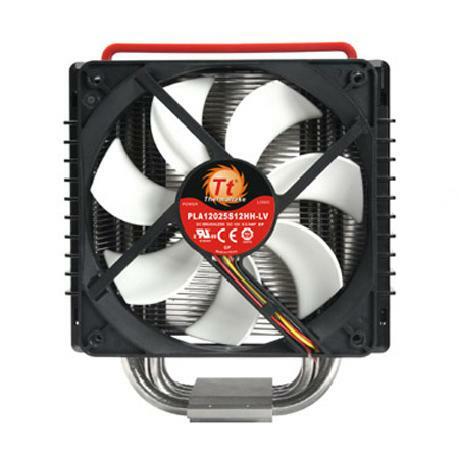 However, Thermaltake goes one step farther than their competition and includes the optional fan in the packaging. 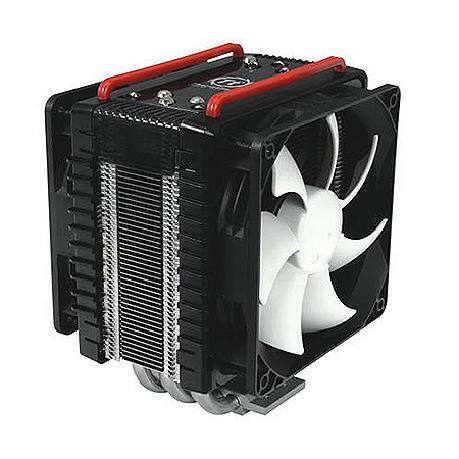 Each of the fans packaged with the cooler measures 120mm and spins at speeds between 1200 and 2500 RPM. The fans are mounted to the Frio using a rubber soft mounting material that is somewhat cumbersome to work and mildly annoying. These rubber mounts are supposed to reduce vibrations and are meant to provide a quieter experience. This, however, is a moot point when the fans are tuned to full speed as they are not the quietest options producing between 20 ~ 43 dB(A). For idle readings, room temperature is maintained at a cozy 68 degrees Fahrenheit (20 degrees Celsius) and the computer is running for an hour before CPU temperatures are logged. Full load is achieved with Prime95 set for In-Place Large FFTs (maximum heat, power consumption, some RAM tested). The TIM is applied and at least 100 hours have past before the readings are recorded. In the case of the Frio, tests were performed with both single and dual fan configurations.